“A Sunday well spent is a week of content” and that’s exactly how I felt when returned home last Sunday after attending #WIN15 ‘The Biggest Indian Blogging Conference’ which was not just an event but an exhilarating experience to share. 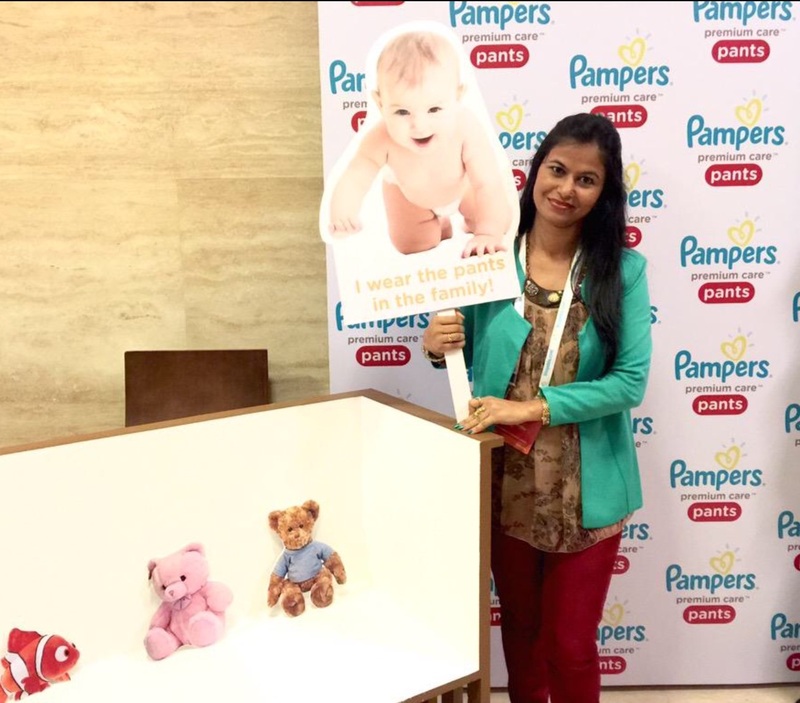 I am grateful to BlogAdda for extending their formal invitation to me for attending the Exclusive Preview of the “New Pampers Premium Care Pants” which turned out to be the biggest attraction of #WIN15 which showcased a spectacular event at one the grandest hotels of Mumbai, The J W Marriot. A day spent with celebrity mom’s like Tara Sharma, Mandira Bedi, The famous Child Sleep Consultant – Ajita Gopal Seethepalli and Pampers R&D Expert Dr. Wei Sing Long along with lovely Mommy bloggers wasn’t just a treat to my eyes but an experience to remember. As I arrived at the Jr. Ballroom, the stage was set… the backdrop with cute little babies freshened up all those memories from my little baby’s toddler days.. How he crawled, toppled and took his first baby steps in those comfy diapers from Pampers. The event began as the most élan Mandira Bedi arrived on stage and hosted the show with her exceptional style and vigour introducing along the Panelists for the show – The most famous Tara sharmaSaluja, a mom herself and a famous blogger. 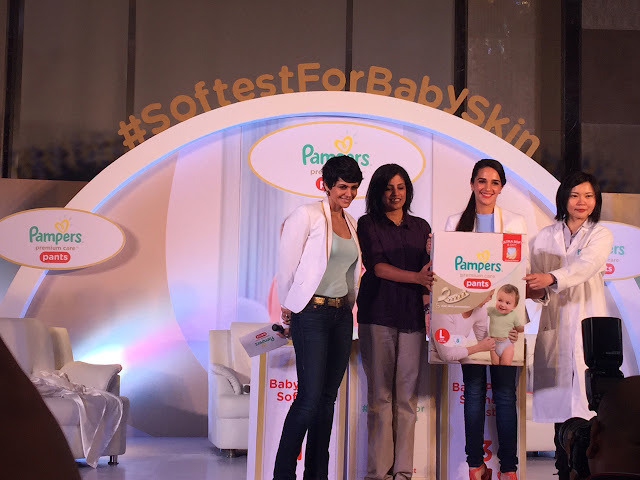 Then we had The popular consultant Ajita Gopal and Pampers R & D Expert Dr. Long to share their expertise with us. The very fact that we all were mothers and the love for the child came first to all of us naturally kept us bound and our common goal – ‘The love and comfort’ that we all seek for our babies brought us together to judge the best for our babies and their skin. The Child Sleep Expert Ajita Gopal shared some great insight on babies skin and the most delicate part of baby’s health that is usually ignored by most of the new mothers due to the lack of knowledge and experience. 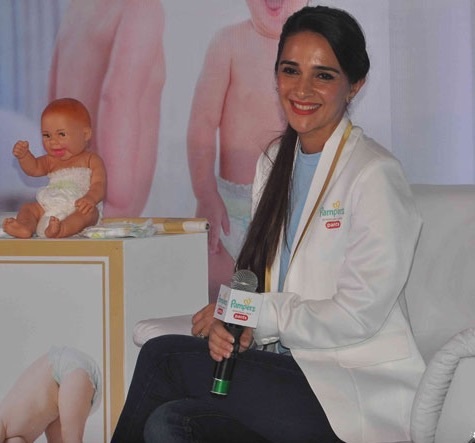 The beautiful Tara Sharma shared some of her fond memories and videos when she became a first time mum and how she completely relied on pampers even while away from home and still managed to get her kids happy and clean. 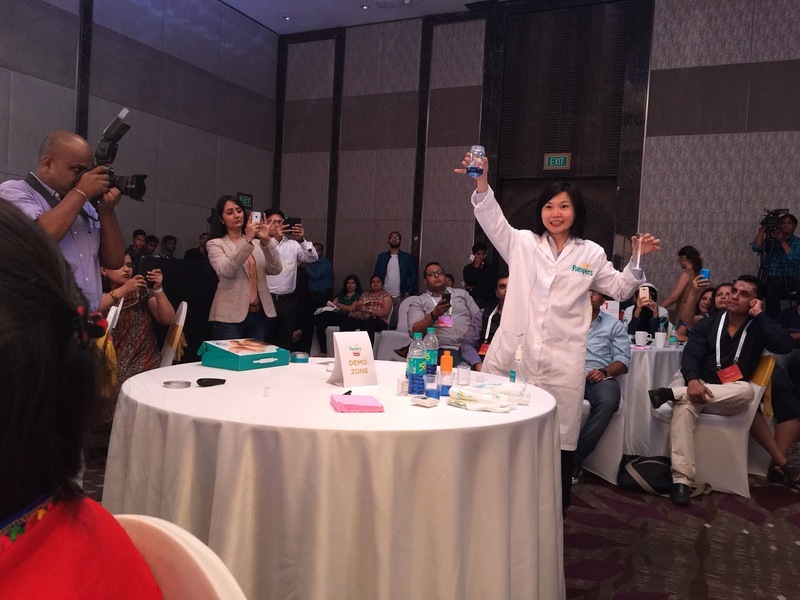 The most amazing part of the event was the little R&D that was demonstrated by the Pampers Expert Dr. Long herself. 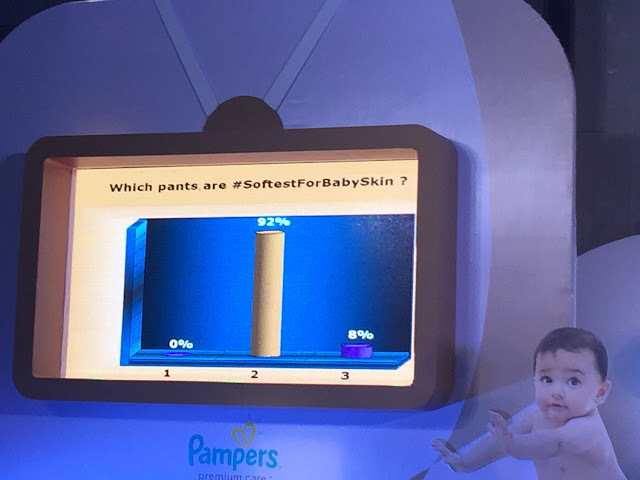 This was not just convincing but we couldn’t believe our eyes when 92% of us voted for ‘Pampers Premium Care Pants‘ to be the softest among the rest by just its touch and feel. Not just that the expert took us through the complete presentation and a live demo to show us some great benefits of Pampers Premium Care Pants that promises to keep the baby dry upto 12hrs and provides a moisture effect to the skin by drying the liquid up within seconds to keep the wetness away providing skin protection. themselves performed the live demo along with the R &D expert to demonstrate the various add on features of this quality product which dried up the poured liquid within seconds to form a gel and how the Indicator on the nappy changed color for mums to understand when it’s time to change their babies nappy. After the live demo, We had a fun filled interactive session with the panelist along with a question answer session to clarify any doubts if at all existed. 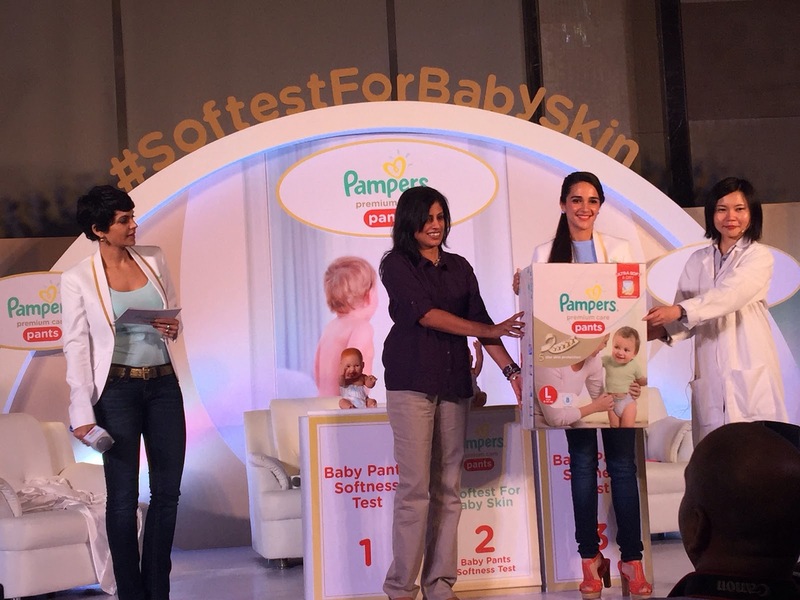 Lastly the most awaited moment of the show arrived and the #softestforbayskin diapers ‘New Pampers Premium Care Pants’ were unveiled by all the celebrities with a huge round of applaud from all the mothers who happily approved of the most reliable product by Pampers. The show ended with the beautiful touchy video.. Where a mom puts her baby to sleep in the soon to be launched premium care pants by Pampers.. Hush a little baby… Go to sleep.. Nothing compares to a beautiful feeling to see your baby sleep peacefully. No wonder babies look their best in their sleep and Pampers surely promises to enrich their experience of good night’s sleep with the launch of these innovative pants in India. Pampers Premium Care Pants – the best thing that could happen to a new born and of course the worrisome mothers of keeping their babies clean, dry and moist at the same time. Sunday, the 20th Sep was a treat in every sense..It not only game me an opportunity to interact with celebrities, make new friends with some great mom bloggers, relish delicious food but had so much to offer me as a mother too. 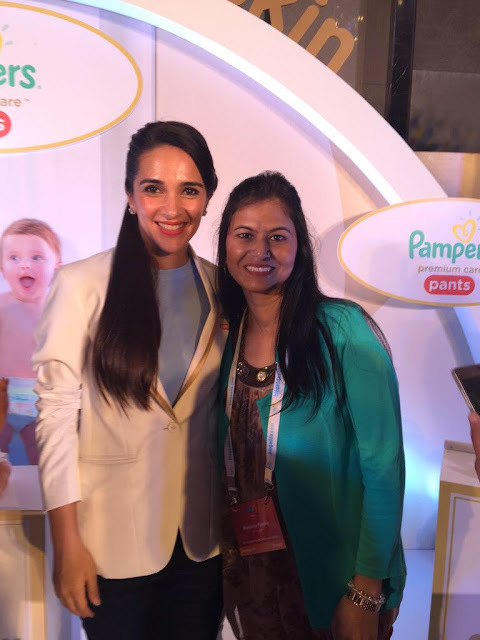 It was purely a phenomenal experience to be at the ‘Preview of Pampers Premium Care Pants‘. 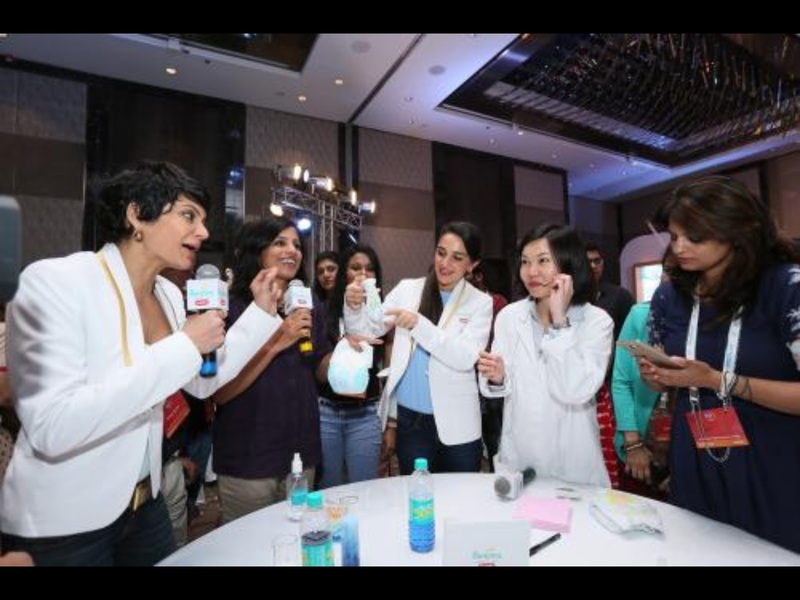 Who better than mommies to judge the product and get a hands on experience with the experts themselves. 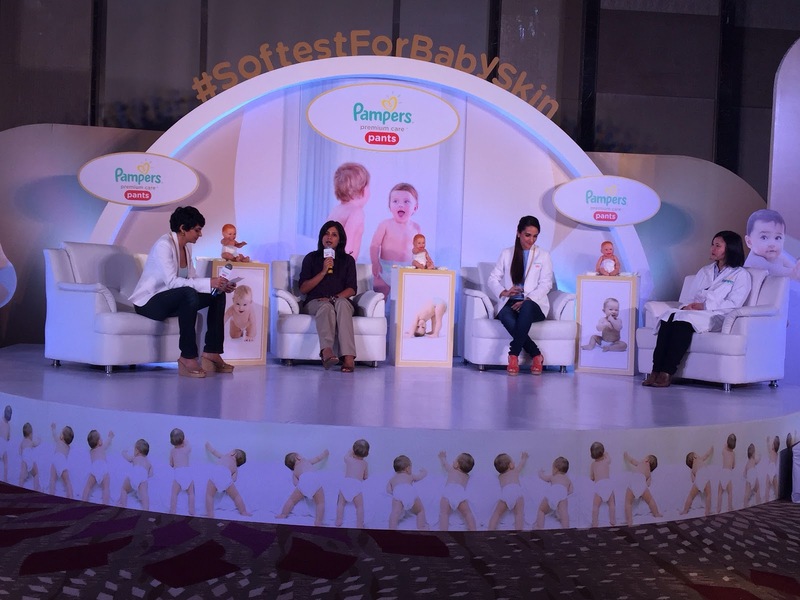 Yes I was one of the delegates invited for the event and I just can’t thank enough for this privilege and an opportunity that BlogAdda send my way and I am glad “This blog post is written for the Pampers #SoftestForBabySkin activity in association with BlogAdda“.